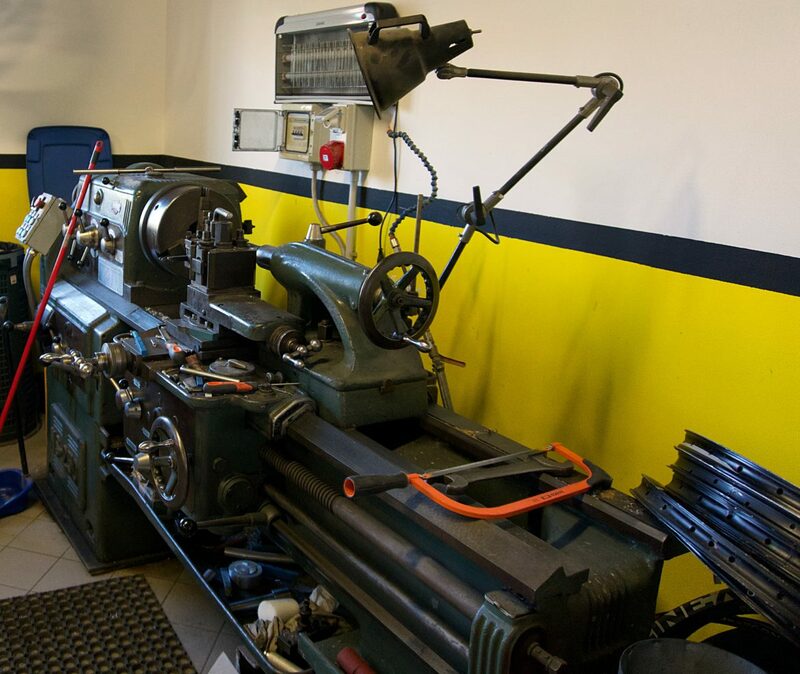 The Ancillotti Cycles story stretches back four generations, to Ernesto Ancillotti’s engine repair shop and suspension factory in Florence, Italy. Shortly after the end of World War II, Ernesto opened a motorcycle repair and fabrication garage where he would go on to patent some of the first moto suspension in Italy. The motorcycle business was carried on by his son, then grandson, and finally morphed into a bike frame and suspension manufacturing company by his great-grandson who asked his dad to build a full-squish bike so he could race downhill. 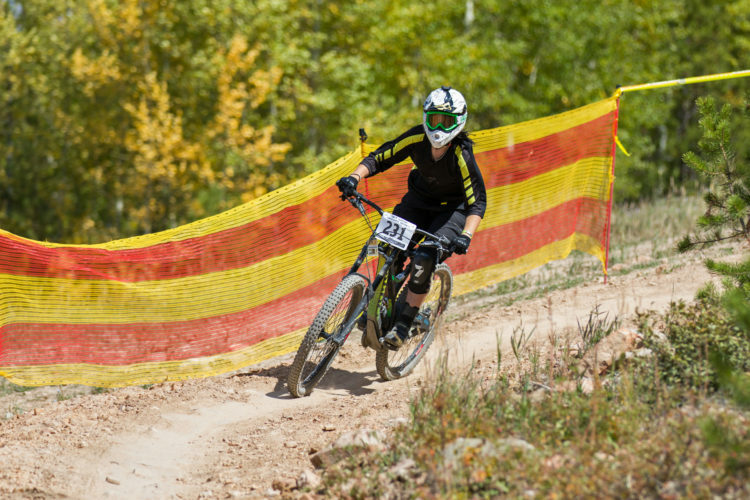 The company’s patent timeline includes suspension for twin-piston Harleys, two-stroke motocross/enduro race bikes, moto headsets, go-kart parts, and now lightning fast artisan enduro, all-mountain, and DH bicycles. One of the fine blue-smokers that helped Ancillotti develop their Pull Shock technology. Ancillotti moto production ended in 1984 after some decisive shifts in the motocross market. 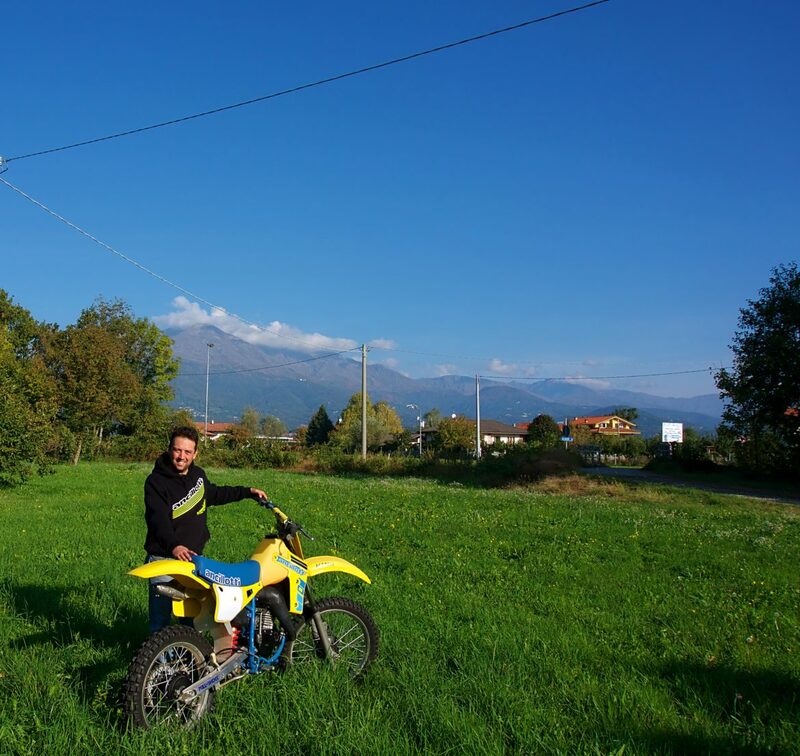 The family kept busy designing and patenting various moto components until 1992 when fifteen-year-old Tomaso and his father, Alberto, began designing their first DH race bikes. 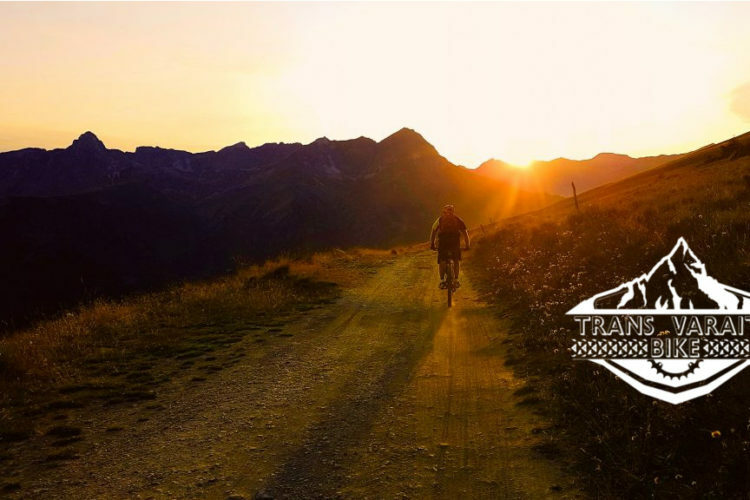 Tomaso had seen one of the first international downhill mountain bike races in Ciocco, Italy, in 1991, where riders threw themselves down the hill on rigid bikes and primitive elastomer suspension. He wanted to race, and he knew his dad could design a better bike. 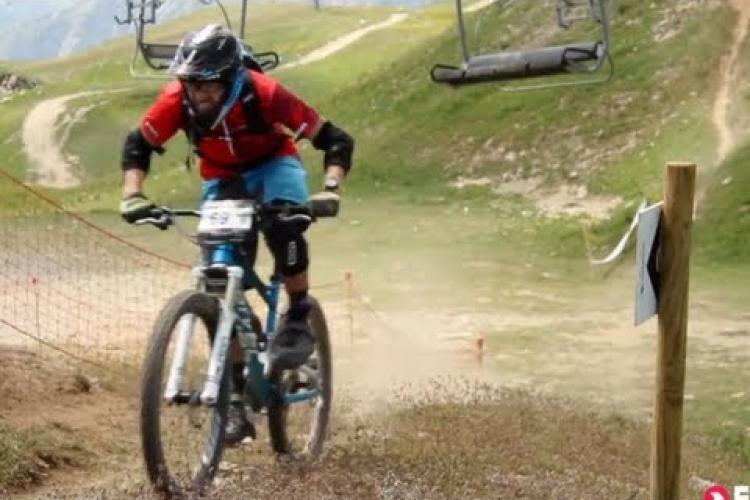 Alberto and Tomaso’s DH frame designs would go on to be raced to rainbow-striped titles in downhill under legends like Italian Giovanna Bonazzi in 1993, and Brook McDonald in the 2009 junior championship race. Check out the full history of Ancillotti Cycles here. Hop down the time-warp-tube to 2018, and Tomaso and his father Alberto continue to create some of the finest fully-custom alloy enduro and DH frames on the market. The Scarab Evo 29 is a 160mm x 160mm race-tuned, gravity machine. Like most Ancillotti bikes, this one is covered in all of the best Italian-made components available. 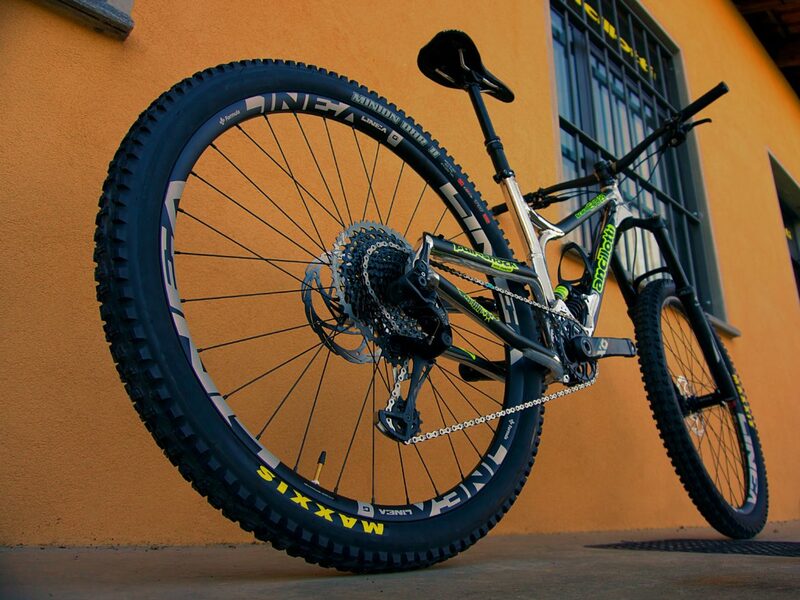 Scarab frames can be built around 27.5″ hoops, 29″, or with 27.5″ rear and 29″ out front. You decide. 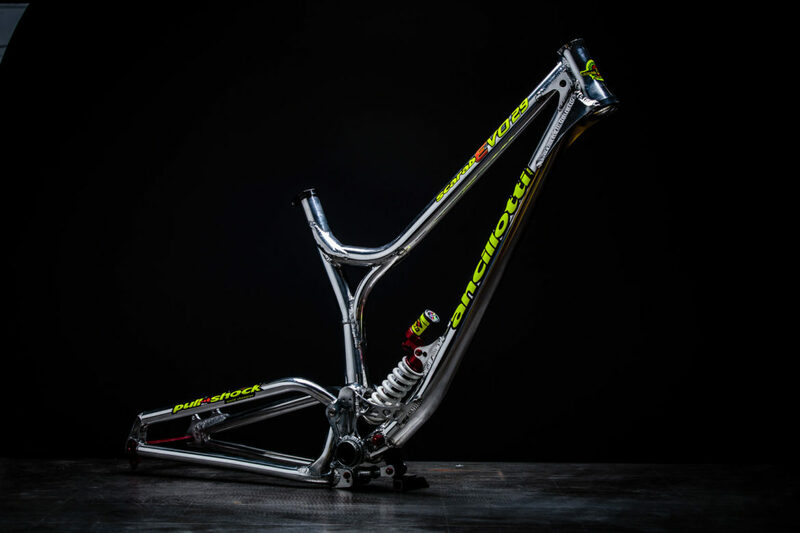 Each frame is built from axle to axle with the rider’s body measurements, riding style, and desired ride characteristics dictating the tube angles and component spec. 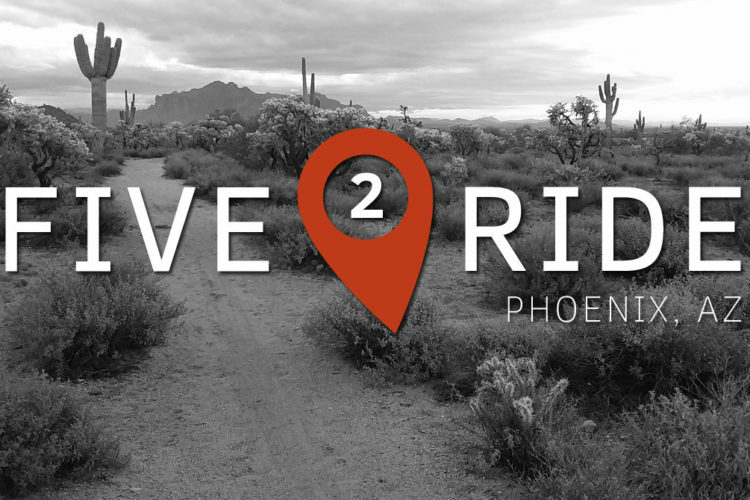 Most customers meet with Tomaso before ordering their bikes, talk over what they want, and then go for a ride so he can get a solid sense of how they place their body on the bike and how that translates to the dirt. From this first meeting to the hotly anticipated “new bike day” customers wait a brief two months for their hand-built whip to take shape. That may be a record short time for custom frame fabrication and assembly. 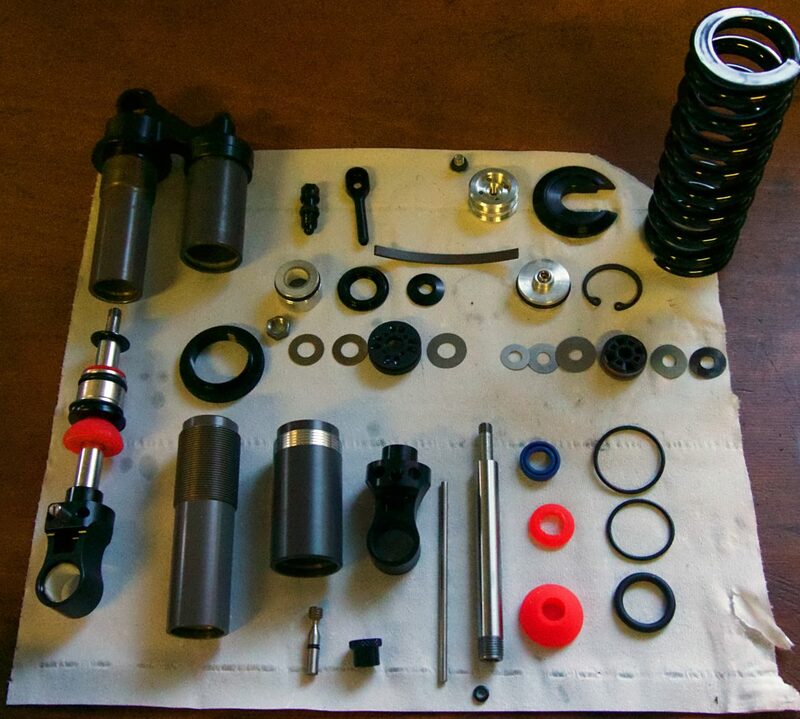 These are nearly all of the bits that make up Ancillotti’s custom coil shock. 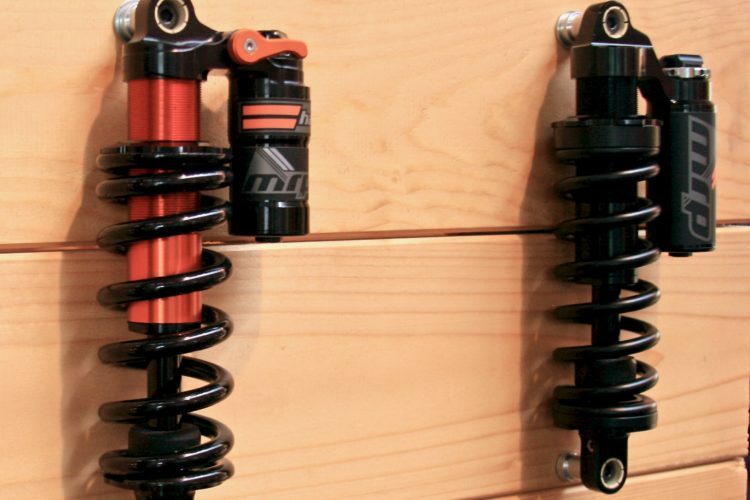 Each piece of the shock is manufactured in Italy, as are the pivot-bushings and linkage. 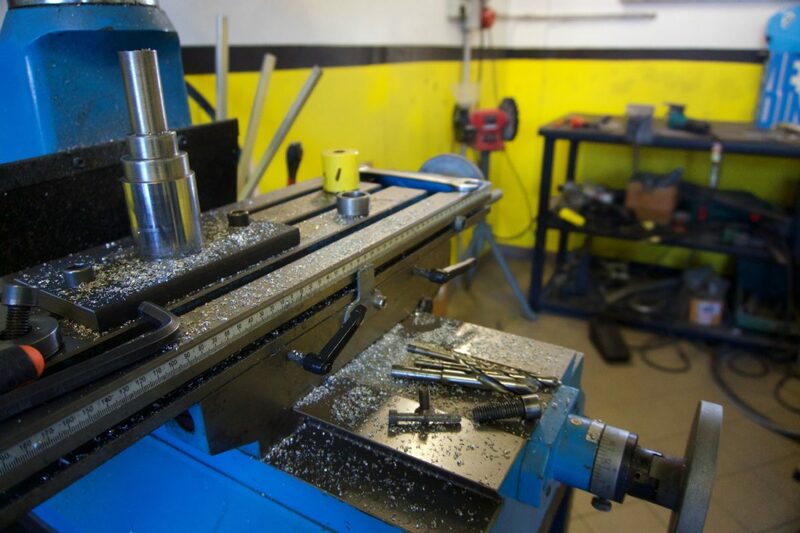 The Ancillotti family sources their alloy tubing from German suppliers, then each tube is cut, formed, mitered, welded, and polished in Florence Italy, under Alberto’s direct supervision. From there frames are shipped to Tomaso’s home in Piedmont where he checks alignment and tolerances, adds several final touches to the overall frame, and builds the bikes with the customer’s parts spec. Frames are finished with a high polish, and clients can choose any color for their frame decals. If you want your bike to look new after a season or two of abuse you can send it to Tomaso to have it re-polished and accented with fresh decals. 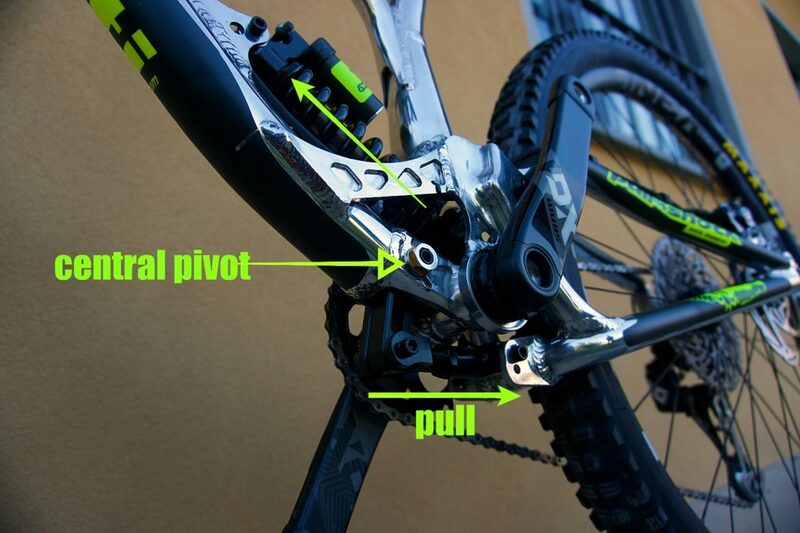 This is my hack-description of the bike’s linkage. For detailed info on all the elements and benefits of the pull-shock design, contact Tomaso directly. The bike’s rear triangle rotates on the top seat-tube-mounted pivot, allowing the lower pivot to pull on the linkage which levers the shock via a central rocker-pivot. The rocker then compresses the shock. This is the same linkage used on Ancillotti’s motorcycles and many modern motocross bikes. The pulling motion of the initial force on the bike’s linkage reportedly creates a more direct transfer of energy to the shock than other linkage designs. Most linkage systems are initiated by a push force into the system, which Tomaso says is more susceptible to twisting and other lateral forces that will negatively affect the bike’s suspension performance. You may be wondering how often a customer breaks the alloy lower linkage, and the answer is it has yet to happen. 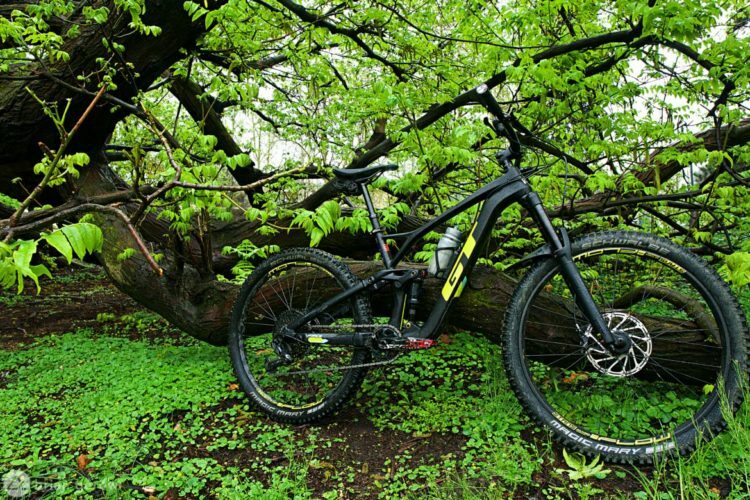 The Scarab Evo 29 is built to be ridden hard. Tomaso and his family live less than an hour north of me amidst one of the many alpine valleys in the northern Piedmont region of Italy. After a chat and brief shop tour, I got a chance to ride some of his favorite backyard tracks. He loaned me his personal race bike for the day, and I was pumped to get a feel for it. In the era of “downhill bikes that climb like a champ” I am hyper-critical of how long travel bikes climb. I have to be because many of them truly do climb well. I expected a bike made by a former DH racer with a coil shock to ascend like a used couch, but I experienced quite the opposite. I did all I could to find a poor sensation in the bike on the way up the mountain, sprinting out of the saddle and pedaling squares to try and make the bike bob and bounce. I failed. The Scarab climbs better than most mass-produced carbon fiber bikes I have tested. My last squishy bike was a carbon YT Jeffsy, highly decorated for its climbing capabilities. The Scarab is better at the goat game than the Jeffsy by a fair bit. The bike I was on had several prototype components on it, so this low-slung view will have to do. Tomaso adjusted the bike’s geometry a number of times on our second climb so I could get an idea of how much you can shift the overall character of the bike. At first, I was climbing with the linkage in the lowest position that left the headtube at 64.5°. Then he gave the linkage-adjuster a full turn and had me climb some steep rocks. Then another turn. It was really cool to feel the “3-bikes-in-one” capability that the linkage provides, and each adjustment took less than a minute of our time. Tomaso’s “infinite adjust” link certainly makes a flip-chip look futile. 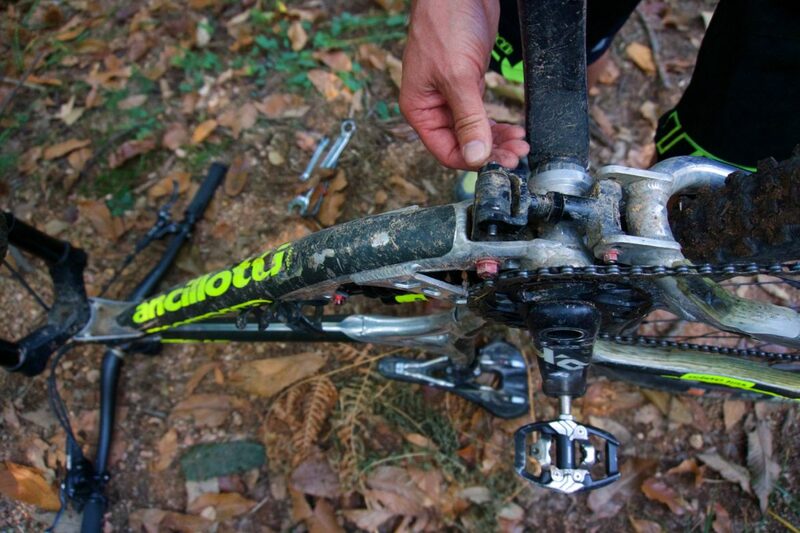 If you enjoy adjusting your bike to fit a precise feel or to prepare for a specific trail, this feature is a tinkerer’s delight. Tomaso not only builds bikes well. My hopes that the alloy goat would morph into a dirt missile once we reached the peak were handily unlocked. 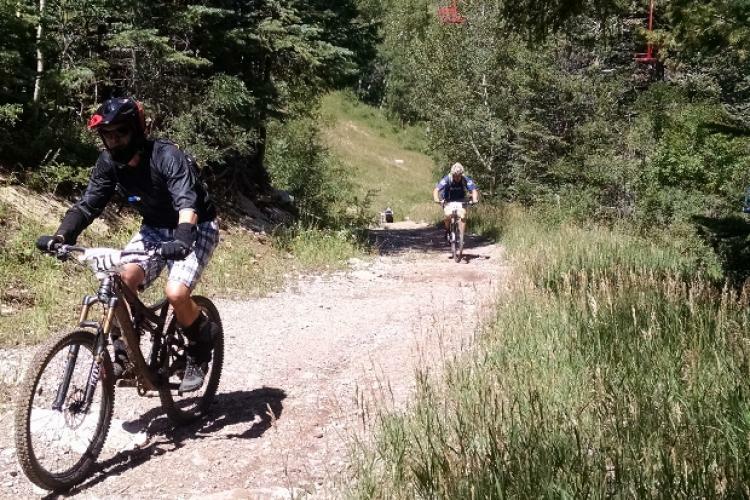 We rode one of the steeper and rockier rips in the area, and the Scarab 29 felt snappy and maneuverable all the way. Tomaso rides with a more DH setup that I do, so we moved some bits around before our second descent and the bike felt even better. 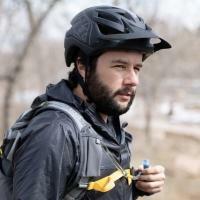 With a 440mm reach and 435mm chainstays the Scarab I rode was as stable as I would expect from a modern enduro bike, but what I found notable is how spry it feels. The tracks near Tomaso’s shop were well rutted by recent rains providing an opportunity to test how the bike reacts to being thrown from side to side. “Pogo-stick-good” is a phrase I would use to describe the liveliness of the custom Ancillotti coil shock and Formula fork combined. As a smaller rider, I have had to work quite hard to push some other big bikes in the direction I want them to go, but the Scarab writes a different story. The stiff frame and well-balanced suspension combine to make one sweet and powerful party whip that I would love to race or ride all day with friends. 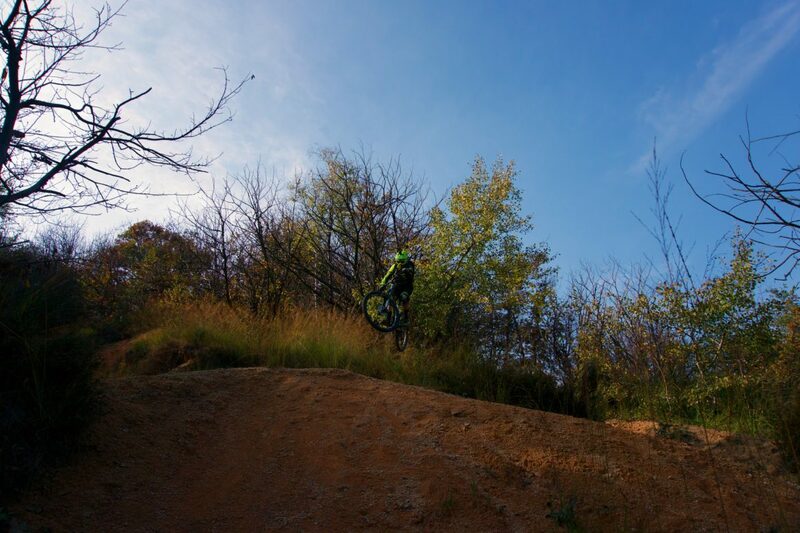 I hit a few mid-sized jumps on the way down, and the bike gobbled up the landing like it was hungry. I am no skilled acrobat, and when I made my typical off-kilter landing the bike made up for my lack of skill with aplomb. I could go on for several more paragraphs about how sweet this bike rides, but I will end with one last positive note: it’s quiet. No matter how chunky the rock gardens we rolled over, or how silent the forest stayed on the climbs, the bike didn’t make a sound. As a recovering single speeder, I have a soft place for bikes that know when to shut up. From the handful of 150mm+ travel 29″ wheeled bikes I have had the privilege to pedal, this one provided the best all-around ride feel. It does everything impressively well. 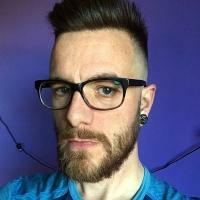 If I had one built for my exact measurements it might somehow feel even better. 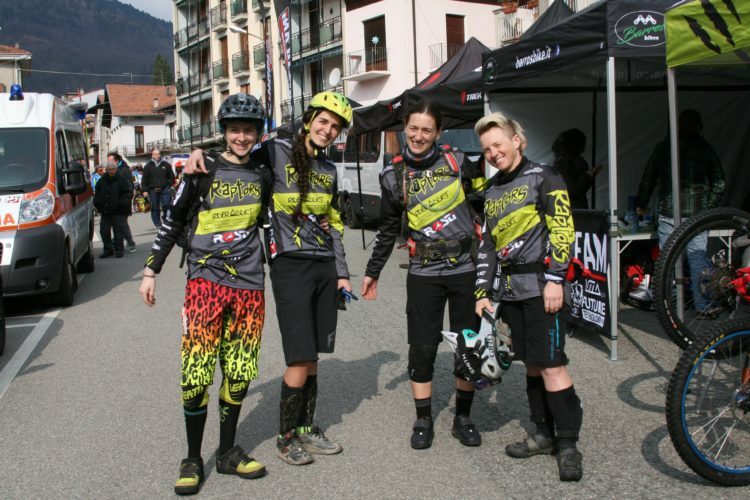 The Ancillotti family support a talented group of junior enduro racers hailing from all around northern Italy. Each of the seven young shredders rides a custom Scarab, outfitted with top-shelf wheels, fork, and brakes from Formula, another Florence, Italy based brand with a long moto history. Team bike saddles drop on Yep Components’ Uptimizer, and though Yep is Swiss-based, most of their post parts are made in Italy. Clearly, the Ancillotti’s care about supporting local businesses, and they do so in every way possible. 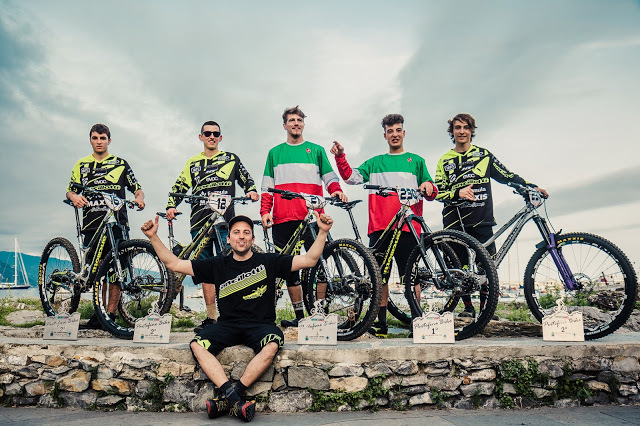 I have seen the Ancelotti Factory Team at all of the northern Italian enduro races I have been to, and the level of support Tomaso provides for these young riders is second-to-none. The kids’ bikes are looked after and properly prepped for each race, riders are driven to the events in advance so they can get a feel for the tracks in each unique area, and the team is outfitted with gear to make some elite level riders envious. The support these kids enjoy pays off on the results sheet nearly every weekend during race season. Two of the Ancillotti Factory Team riders placed 1st and 2nd overall in the U17 category at this year’s Superenduro series, and their teammate took the 1st spot for the overall series in the U19 group. 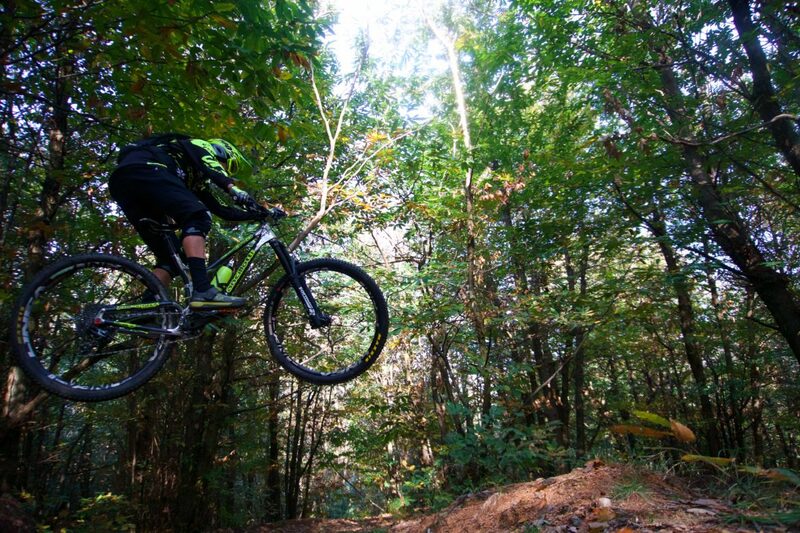 If that’s not enough proof that Ancillotti’s enduro bikes can be raced to the top-step, they also swept the overall team ranking in the Superenduro and had impressive results at various enduro series in Italy and France, including some Enduro World Series races. You can follow the Ancillotti Factory Team’s race reports here. I was thinking the same thing, although the suspension design seems quite a bit different. And unlike an Evil, it doesn’t take removing ten different bolts to change the geo, so that’s probably a plus.